The color orange is never so prevalent as it is in the splendid month of October. Flowers, trees and pumpkins all sing praises of the vibrant and appealing color of orange on warm sunny days with frosty mornings and cool evenings. 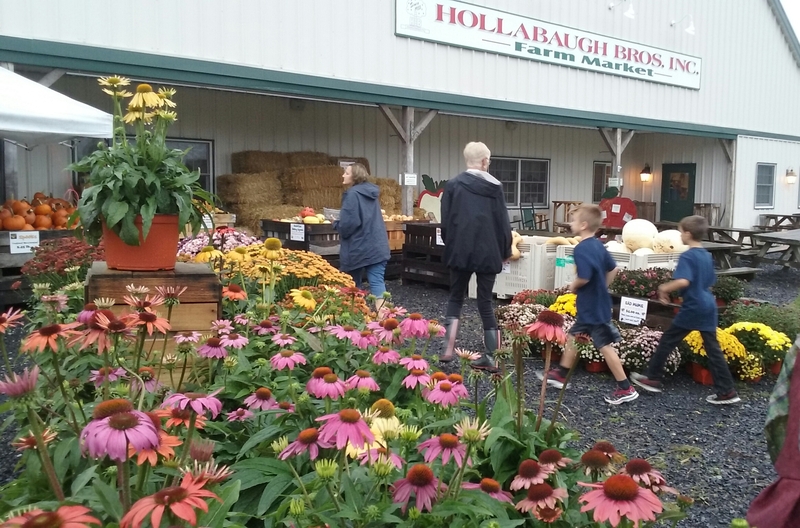 A trip to Hollabaugh’s market is a treat anytime, but in October it is a celebration of all things fall. 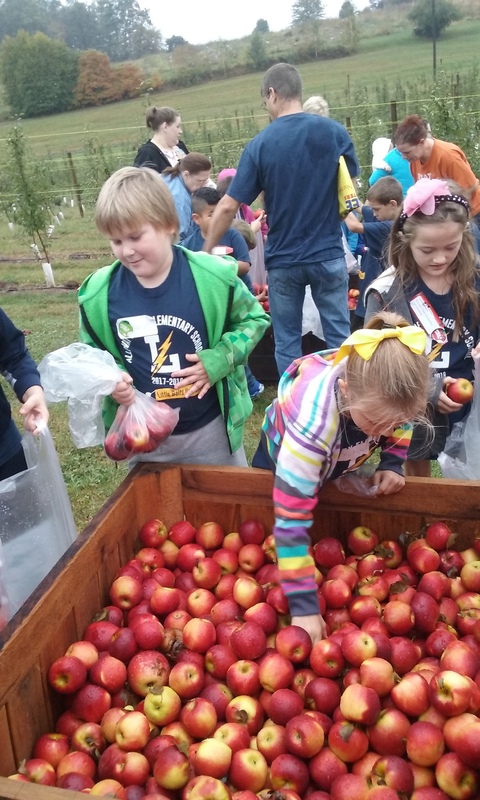 My trip this October was to accompany a school bus full of children anxious to get their first taste of apple cider, take a wagon ride through the orchards and pick five apples for themselves from the bin. It was a rainy day when we were there but have no fear, there was no enthusiasm lost. We disembark from the half hour bus ride to a multitude of colors. 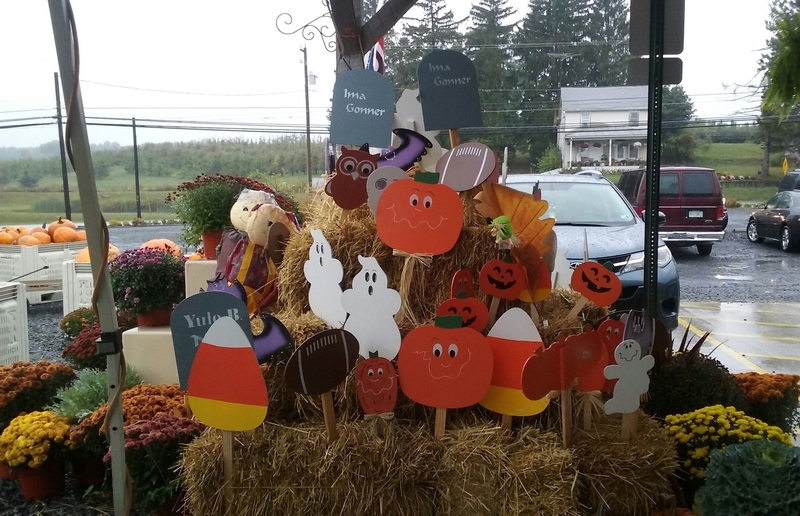 The displays are inviting and a feast for the eyes. Look here, look there, so many things to see. 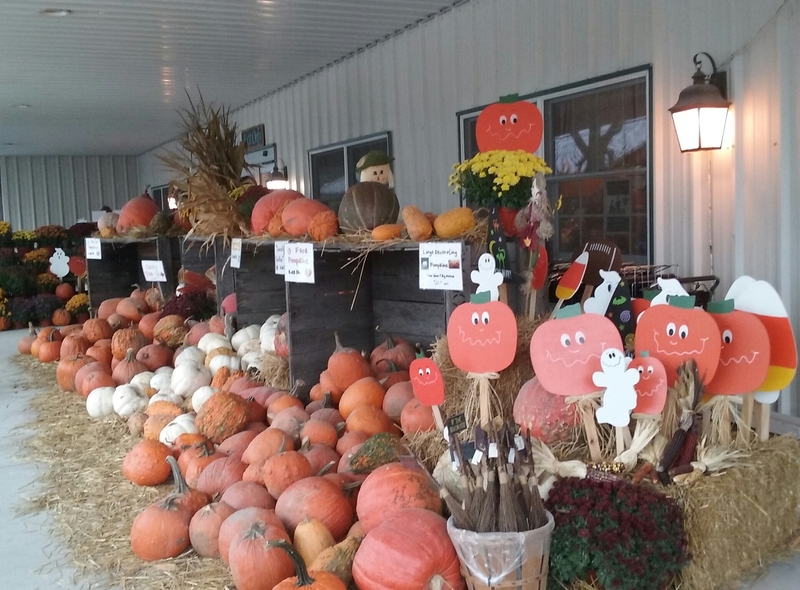 “There are a lot of pumpkins here,” was the comment heard from a wide eyed third grader. 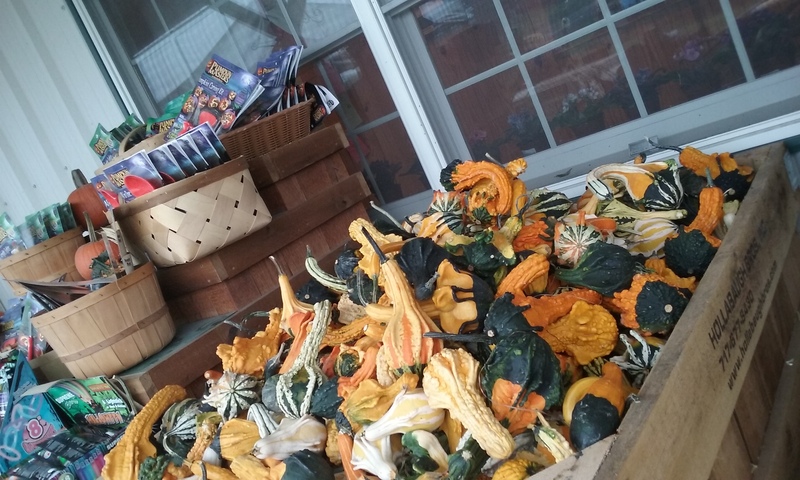 Yes, a lot of pumpkins. 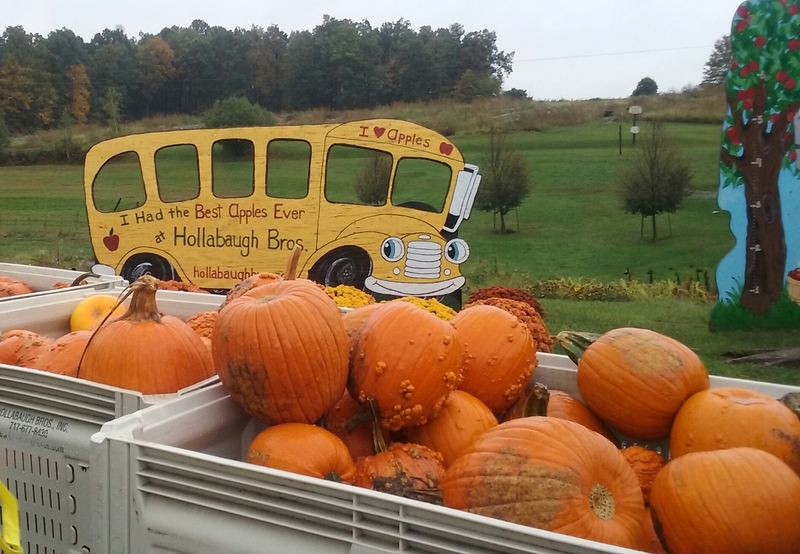 Hollabaugh Bros. have been hosting bus loads of school children for many years. 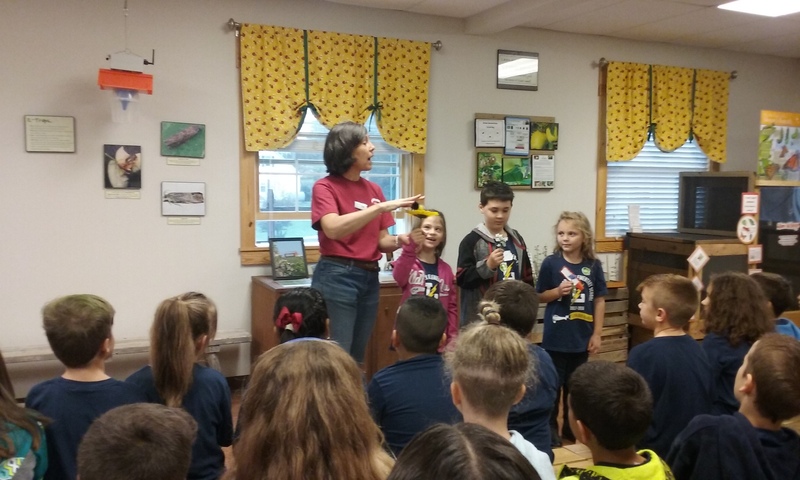 Today we would take the bus ride first and then go inside and learn about the role of the bee in the orchard business. 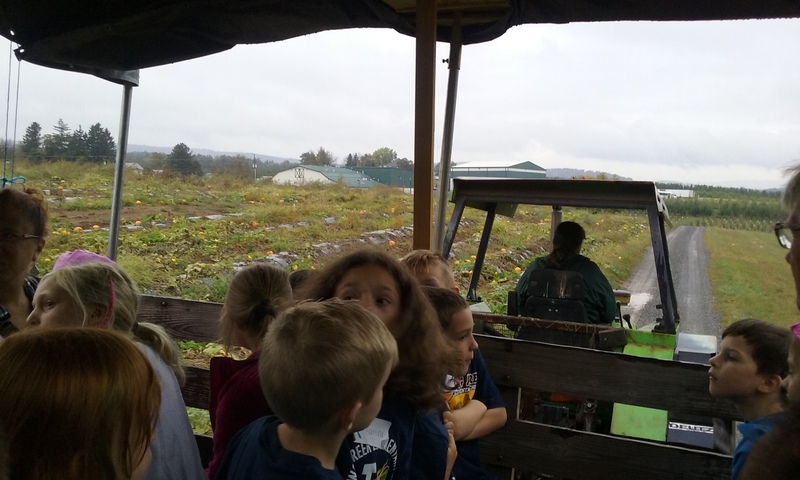 We were thankful for the covered wagon to take us on a tour of the orchards on this 500 acre farm. The rain slowed down to a heavy mist. We got a little wet one time when the wagon brushed a tree hanging over the edge of the road. No damage done, only a lot of delightful squeals from happy children. 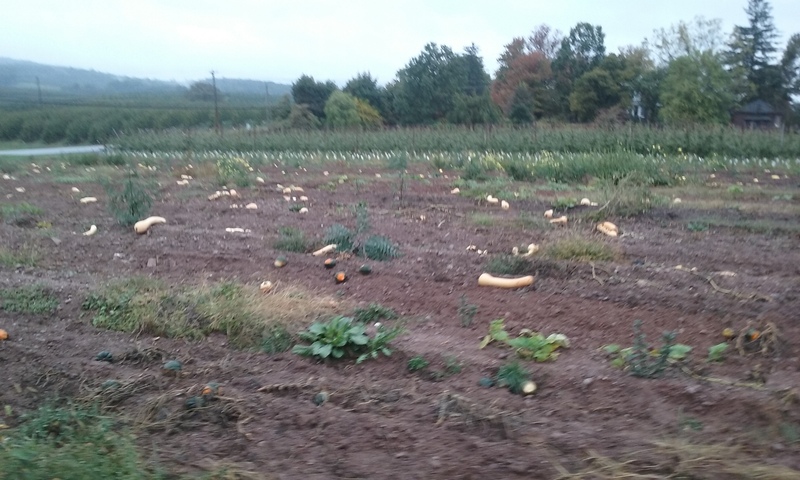 As we rode along the not too bumpy roads we saw the left over pumpkins and squash in the field, and learn of the only two perennial vegetable plants, which are asparagus and rhubarb. These happen to be the only vegetables in my garden. I love low maintenance plants that keep coming back. When the tour brought us back to the buildings each visitor was allowed to pick 5 lovely apples from the big bin. Normally visitors pick the apples from the designated trees, but today it was too wet. So the big bin it was. Back inside we heard the story of pollination, complete with the birds and the bees and the flowers and the trees. Thanks Hollabaugh Bros. for letting us visit your beautiful farm, taste your cider and pick your apples. It was a fun day and I enjoyed looking at all the crazy squash, as we got back on the bus. The ride home was just a little much for the two that shared my seat. Before we hit Biglerville their eyes were closed and their tired little heads were bobbin. I for one am glad that God made October. Enjoy these days while they last, November is just around the corner.